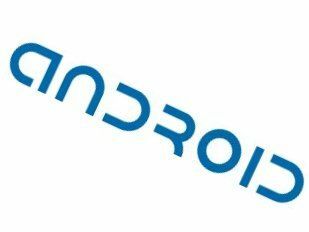 Is Android coming to a netbook near you? HP, the world's biggest computer manufacturer, has begun trialling the Google Android operating system on its netbook range. So far, Google's OS has only been used in a select few smartphones, such as HTC's G1, but according to the Wall Street Journal, HP has started programme-testing the system to see if it will work on the low-cost computers. "We want to assess the capability Android may have for the computer and communications industries, and so we are studying it," said Satjiv Chahil, a vice president of HP's PC division, to the paper. The biggest reason PC manufacturers may want to adopt Android is money. As Google Android is open source (ie free), it could seriously lower the retail value of netbooks, and make them much more desirable to budget-conscious consumers. The Wall Street Journal points out that it could be an uphill struggle for PC manufacturers to adopt the OS quickly for the computer market – mainly because Android doesn't yet support popular PC programmes. It does, however, support OpenOffice and the like. And keeping most of the programmes in the 'cloud' would mean less strain on a netbook's processor. In other Android netbook news, Larry Page, co-founder of Google, has updated his Twitter account for the first time in a month and announced that "Android netbook is coming…". You would have to be a fool to consider this conclusive proof that the Android netbook revolution is about to begin, however, considering what today is.